As we continue to live in an era populated by remakes, it’s not hard to overlook the fact the the horror genre is probably the one most often perpetuating the practice – and probably also the one we have to thank for spearheading the movement. 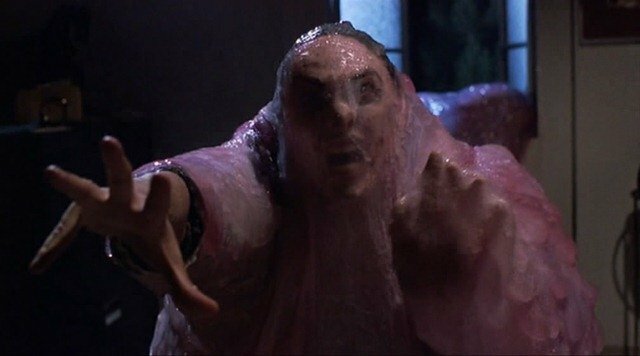 Beyond that, there’s an exclusive club of films that have been remade more than once, with Carrie being a recent example that comes to mind and, before long, The Blob will join that ilk. Originally spooking moviegoers back in 1958, the corrosive, growing Blob would absorb unsuspecting townsfolk before ballooning to gigantic proportions. It later received a 1972 sequel and a 1988 remake, the latter of which was probably my first exposure to the franchise because, let’s be honest, any child of the ’80s can tell you we watched many movies that we probably shouldn’t have as kids. Hell, we even had action figures for RoboCop and Terminator 2: Judgment Day, but I digress. With Simon West’s re-remake now gaining steam, the marketing machine is already coming to life in the form of some sales art that forces one to recall the Alien franchise, mimicking its identifiable color scheme and font. Truth be told, this doesn’t come as too much of a surprise when you consider that it’s already been said this take will be “more along the lines of Alien and Predator.” And seeing as how Alien: Covenant is one of the most talked about movies at the moment, being in its company can’t hurt all that much. 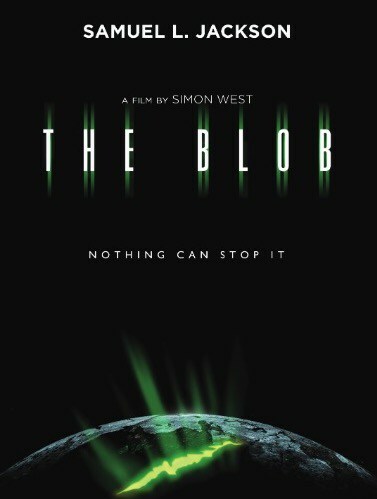 Still, we hope for The Blob to be confident in establishing its own identity before long with big names such as Samuel L. Jackson and Halle Berry having been mentioned, with the former having been long attached and the latter supposedly joining him.